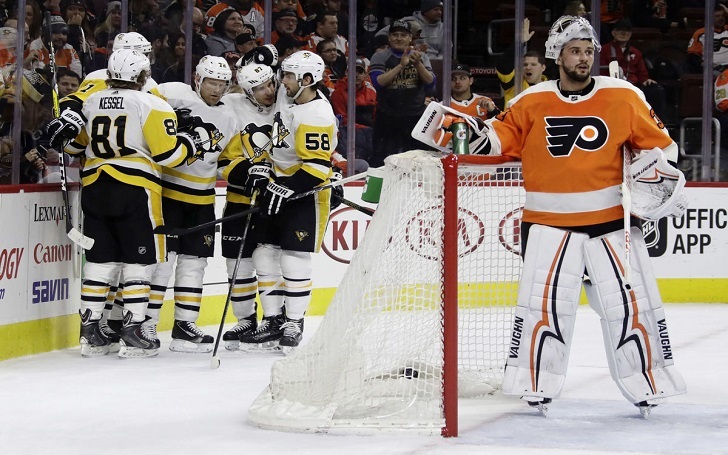 Sidney Crosby’s continued dominance of the Philadelphia Flyers helped two-time defending Stanley Cup champions Pittsburgh Penguins move back into first place on Wednesday night. 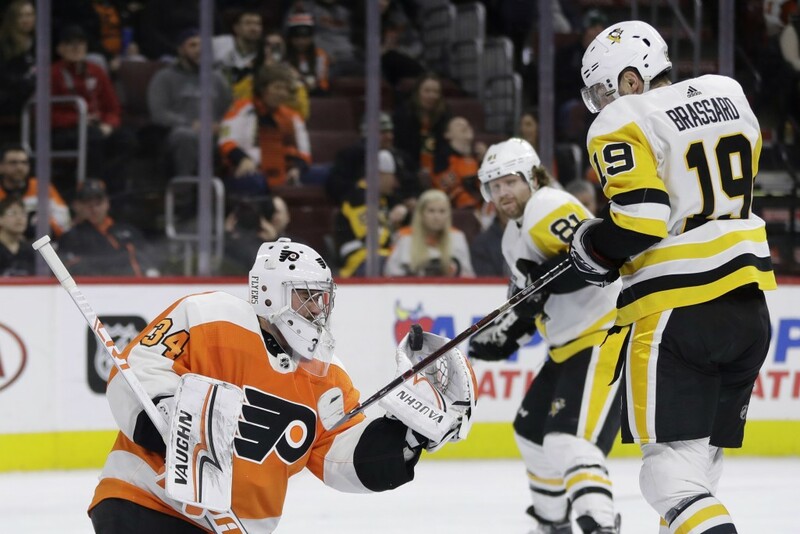 Conor Sheary scored two goals and Crosby had three assists as the Pittsburgh Penguins rose into the top spot in the Metropolitan Division with a 5-2 victory over the Philadelphia Flyers. Evgeni Malkin, Phil Kessel, and Jamie Oleksiak also scored for the team Penguins, who have won three straight. Pittsburgh moved one point ahead of idle Washington and three points in front of third-placed Philadelphia. Crosby continued to haunt the Flyers as he increased his total to 91 points in 62 career games against the Penguins’ intrastate rivals. Everybody gets up for it. It brings out the best in everybody. His third assist of the game gave him 1,100 career points. Sheary began the game on the fourth line, but he played alongside Crosby for parts of the night. Crosby assisted on both goals to help Sheary break out of a slump, entering without a goal in 15 straight contests. He goes to tough areas and plays bigger than he is. With his first of the night, Sheary gave the Penguins a 3-2 lead, finishing a two-on-one break with 5 minutes, 35 seconds remaining in the period. Peter Mrazek made a good save on Crosby’s initial shot, but the rebound went right to Sheary, who backhanded it in for his 13th of the season. Jakub Voracek and Travis Konecny had goals for the Flyers, who lost their fourth in a row. The teams combined for six goals in an electrifying second period. They scored when they needed to score. They make you pay.